Welcome to Daniel Aluminum Co.
Daniel Aluminum Co. is a family owned and operated business in Lee County, Georgia started in 1992 by Don Daniel. Don has been in the industry since 1971. Upon his retirement in 2013 his son Ben took on the responsbility of managing the company. Ben and Jason were raised in the business and now are key staff members at Daniel Aluminum. We invite you to visit our showroom on Philema Road, our location since 1997, where we keep the largest selection of portable buildings, greenhouses and utility trailers in South Georgia. We offer both custom designed buildings as well as ready made products. We have an experienced staff ready to help you choose the best option for your needs. 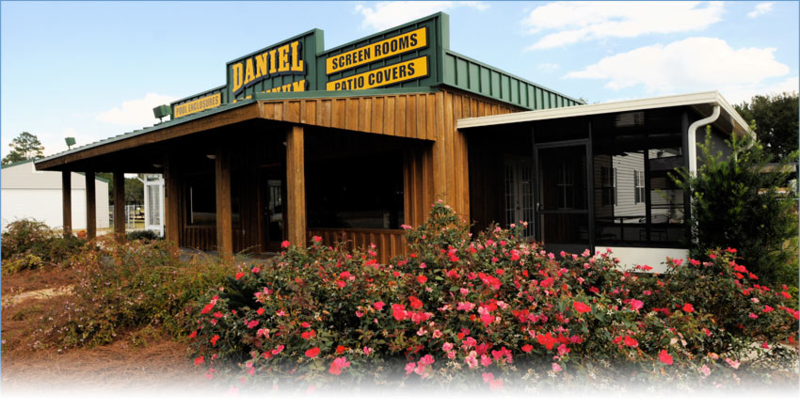 At Daniel Aluminum, we serve the residential, industrial and commercial sectors and most in-stock items can be delivered the same day.